Is your lawn St. Augustine lawn turning chartreuse or yellow? 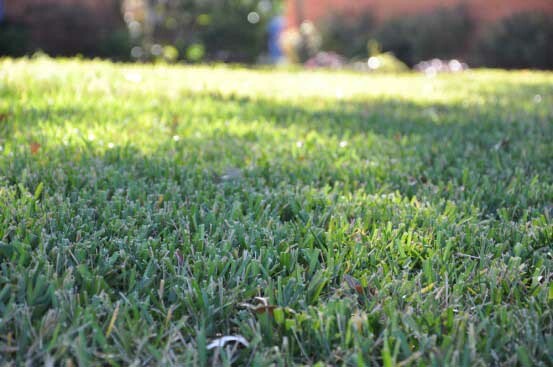 With the higher temperatures of summer, a common issue in St. Augustine lawns is chlorosis. Chlorosis is a lack of chlorophyll caused by a deficiency of much-needed nutrients such as Nitrogen and Iron. When soil temperatures and pH are too high, it’s difficult for lawns to take up these nutrients, even if they are available in the soil. Soil compaction and poor soil health also contribute to the problem. If you are attempting to heal your chlorotic lawn yourself, we recommend adding a layer of acidified compost, or garden sulfur, to the area and apply liquid seaweed with added iron. Disease Alert: Yellowing in a St. Augustine lawn could also be associated with the disease Take-All Root Rot. Since we’re obsessed with soil, let us do the work for you! Become part of our Soil Building Program today! It’s easy to get started. Follow the link here to get a free quote and we’ll email you an estimate. When you are ready, we’ll sign you up!